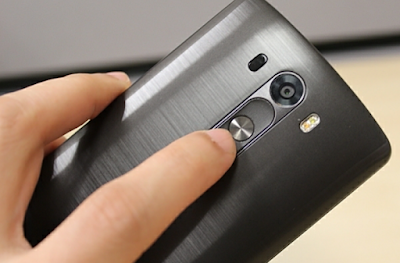 How to Customize your Fingerprint Sensor for Complete Different Task: On smartphone devices, fingerprint sensor changed the way to work with devices and this sensor helped provide the fastest and most secure way to interact, lock and unlock to the device. Although this advanced technology was sometimes not considered possible to catch on small portable devices, but it certainly did in any way. Now through this small and intelligent sensor, users are given the facility to work with so many features and functions, do some types of tasks instantly, and all this is done by the given signals to this software goes. Now in every other device by different manufacturers, the signals available for fingerprint sensor are set to some actions by default. While users also want to make changes in fingerprint gestures for convenience In Android Oreo, it is possible to change or optimize the device's fingerprint sensor. In this article here, we have written about the process through which users can be able to make customizations in fingerprint gestures on Android Oreo. If you want to know about this method on this page, please continue reading till the end and you will get full knowledge about it! The method is simple and you just need to get an app that will help you make this optimization, so follow the steps below to proceed. 👉 First of all, visit the Google Play store on your device and then download the Fingerprint Gesture-Self and Scecret Pics from there. You can search for the app from there through the search bar and therefore hold it through search results. This app is available for free, so you do not have the trouble of trying this app. 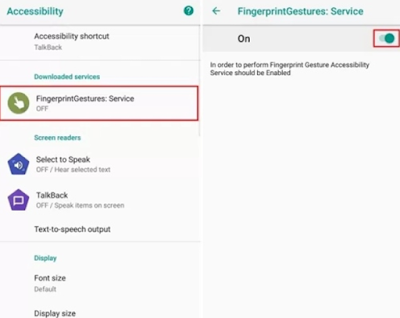 👉 Look at Settings> Accessibility on your device after downloading the app and for services downloaded from the headline 'Fingerprint Gesture' and tap on it. 👉 This will take you to the new page from which you must to toggle the function to enable it. After doing this, go to the second step and make the necessary changes. 👉 Open the downloaded app just in the steps above and then you will be able to customize a number of actions through the Options menu filled with different sections. 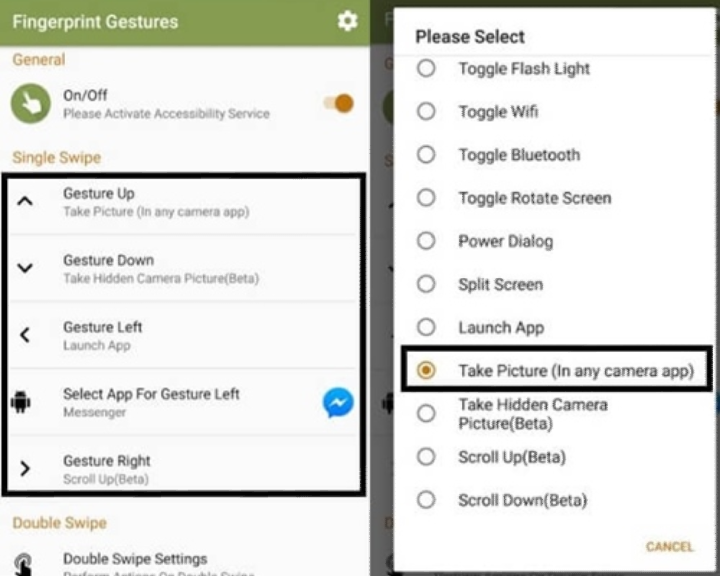 👉 Swipe up, swipe down, swipe left and correct sections on screen or from where you will be able to customize for these tasks on fingerprint sensor. 👉 Select one of the available options and the list of available tasks will be displayed on the screen. Simply select the action type for a particular swipe through the list and then close the app. 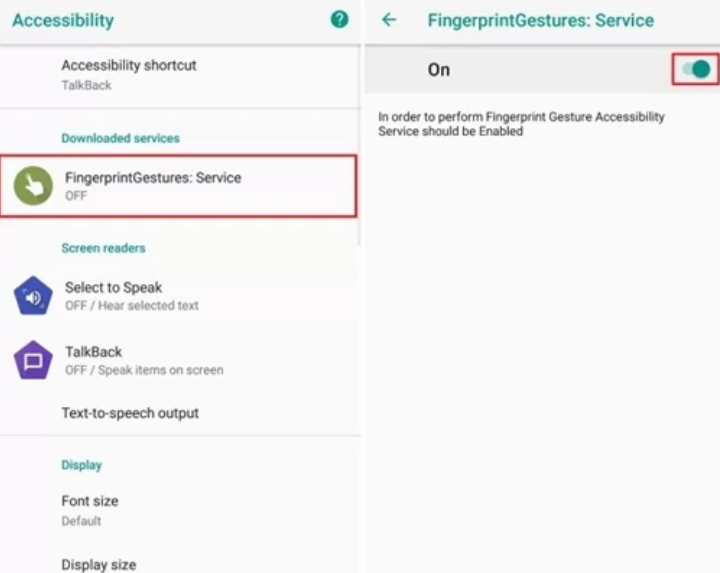 After that, just restart your device and after that you will see that the same actions process special swipe gestures on the fingerprint sensor as if you were selected. 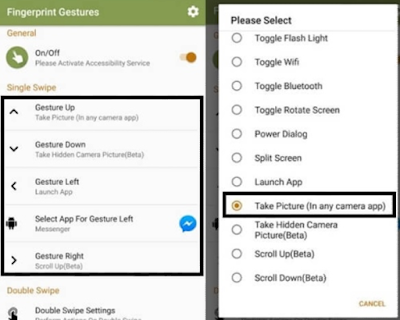 So in the end, in this article, you will need to know about the method through which Fingerprint gestures can be optimized on Android Oreo. As you've found that implementing the law is really easy, it can be easy for any beginner to understand the benefits from this method and therefore it may be easy to complete related tasks. We hope that you will like this article and the entire information here in this article here, if it is, then please like this article. Also, share this article with as many people as possible so that others can gain knowledge about the information given here. If you comment on this post and the method with your feedback and suggestions, we would appreciate it, please use the comments section for this!